The glamorous lives of the elite in Venice 1750 reaches a scandalous point during the Carnevale that Orelia arrives. Along with 6 other teenagers, Orelia is swept away by the desirable yet, secretive lifestyle that threatens to expose their vulnerabilities and bring them down forever. I'm glad I held out on reviewing this until I had time to really think about it. 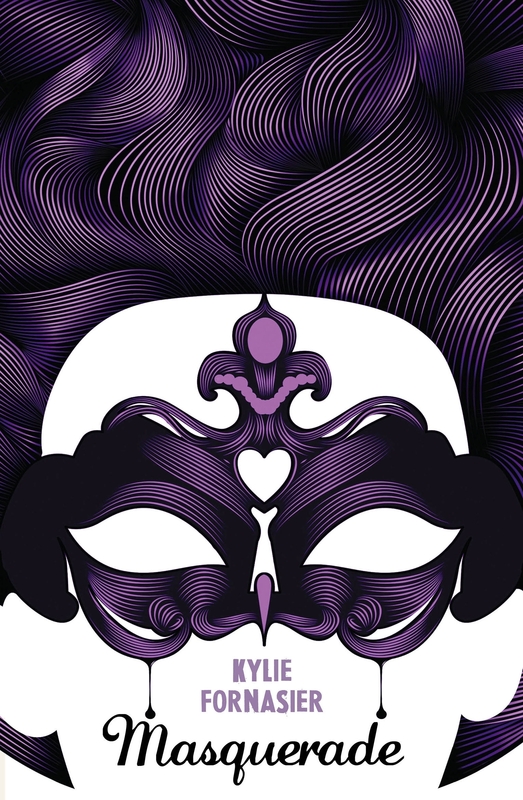 Masquerade carries a different tone to the usual Young Adult novels of glitz and glam, and romance. It's written as a novel but sectioned into Acts like a play. As every Act takes place, it progressively grows more suspenseful building into a climax before the final scene. Both the set up of the novel and the language really reflects the period of the novel and the characters within. I actually found that to be quite creative. It also meant I was immersed in the story a lot more and I found it to be really easy to read. The story itself wasn't anything spectacular. It's a mix between Gossip Girl-esque and the movie Cruel Intentions (and every other adaption plus the original that it was adapted from). What makes it similar to the well known TV show is the groups dynamics and the social hierarchy played out. It wasn't as entertaining as the TV show, nor did I grow to like any of the characters properly but the bare bones of it was there. I hope mentioning the movie Cruel Intentions isn't a spoiler, but it's not that the plot is identical to the movie but rather it has certain elements that are alike. I didn't particularly like that addition to the story but it helped move along the story and the relationship progress so I guess it was okay. Both the story and the characters were quite shallow, skimming the surface and being just purely entertaining. There were definitely moments of predictability and just cheesiness. The ending was quite shocking and I was so confused as to why it occurred. Thinking about it now though, I can sir tot understand the underlying message, but I also think it worked to mirror most of Shakespeare's tragedies. I finished the book and was left thinking "did I really waste my time reading this", because I felt like there literally was no point in the end. Yet, I do have to see it as another writing technique aimed to have the novel work as play overall (at least I hope so). Masquerade had its good and bad, but generally it was entertaining; perfect for when you're in a reading slump or just want something light and easy to read.